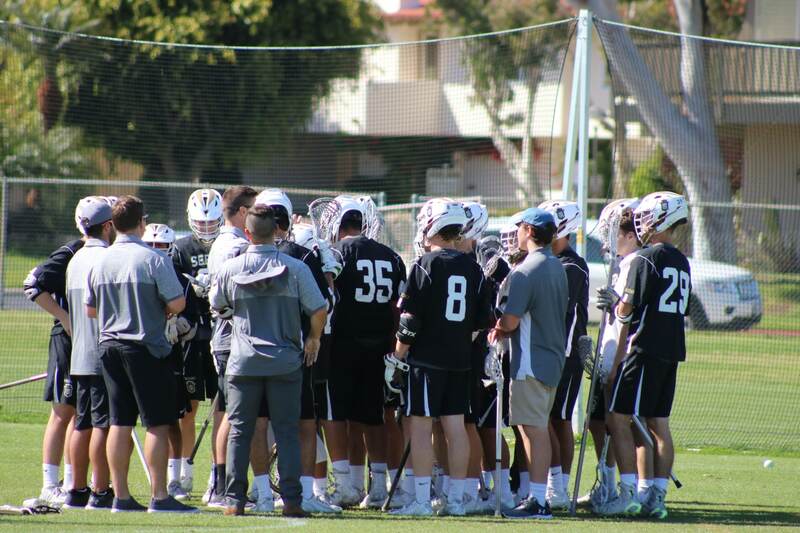 Cole Brennan quick-sticked a pass from Carter Bays with one second to go in regulation to give the Servite boys lacrosse team a thrilling 8-7 come from behind victory over Brighton (UT) this past Saturday. The win was much needed for the previously struggling Friars (2-4), who started the day on a four-game skid. For much of the game, it looked like the Friars’ losing streak was destined to reach five games. Brighton got off hot with four unanswered goals in the first and early second quarter. Servite, however, added two to cut the Bengal lead in half going into the break. Each team traded a goal in the third quarter and the Bengals netted two early in the fourth to extend their lead to 7-3. When things looked the bleakest, the Friars offense finally came alive and made it 7-6 late in the quarter. Brighton had the ball in the final minute with a chance to run out the clock or add an insurance goal but Servite’s defense came up big and caused a turnover. The Friars marched down the field for a goal by Bays to tie the game with 29 seconds left. The game that seemed destined for overtime, but the Friars had other plans. Charles Daniels won the crucial faceoff and with one second remaining on the clock, Bays and Brennan teamed up to put the Friars back in the win column. Jack Terrones (3G) and Bays (1G, 2A) led the team offensively with three points apiece. Brennan (2G), Zach Williams (2A), Alec Paz (1G, 1A), Matthew Greenlee (1G), and Will Miller (1A) rounded out the scoring for Servite. On the defensive end, Jack Seals led the team with two caused turnovers and Jakob Decano had 13 saves.